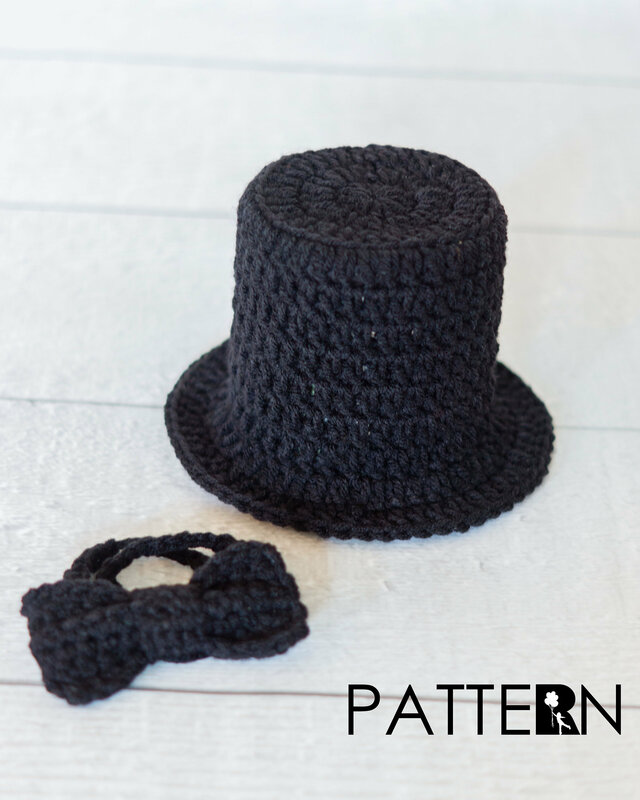 This crocheted top hat and bow tie are adorable. What a sweet set for your little man's first photos, an amazing set for any photographer, or a great gift. Immediately after purchase, Etsy will email you the pattern file. Please make sure the email address on your account is up-to-date. This pattern is Copyright 2018 by Candace Perry of My Red Balloon Bouquet. This pattern, contents, and images may not be redistributed, resold, or copied, or reproduced in any way without designer's permission. You may sell items you make from this pattern.